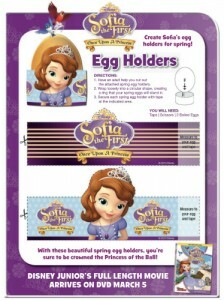 Click HERE to download the Easter puzzle page to print or save to your computer. 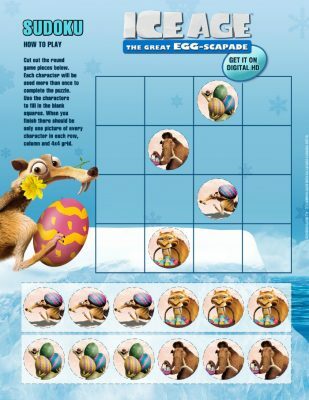 This pattern puzzle from Ice Age: The Great Egg-Scapade is great for kids. They can look at the images and figure out what comes next. 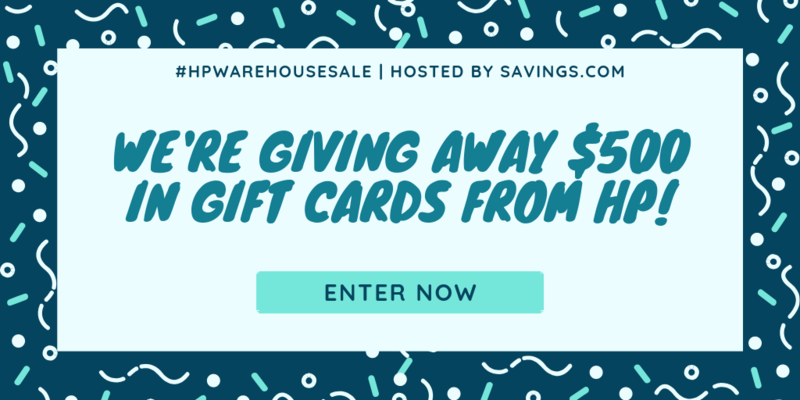 Click HERE to download the free printable game. 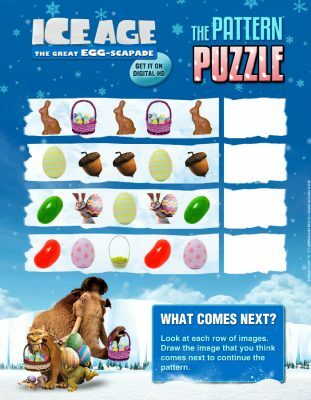 Dot games are always a great way to keep kids entertained and this one from Ice Age: The Great Egg-Scapade is extra fun. 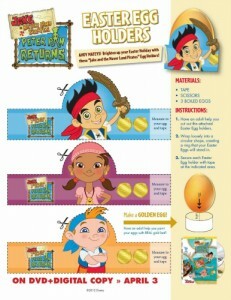 Isn’t the Easter theme cute? Click HERE to download the puzzle. Do you like sudoku puzzles? 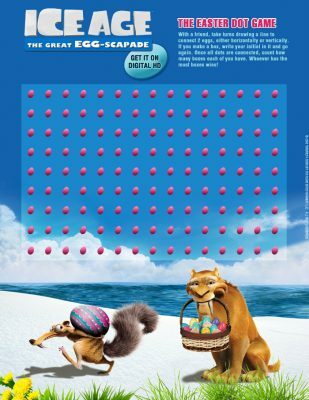 This is a cute one for Easter from Ice Age: The Great Egg-Scapade. There are only 16 squares, so it will be a nice challenge, but isn’t too hard. Click HERE to download the maze to print or save to your computer. 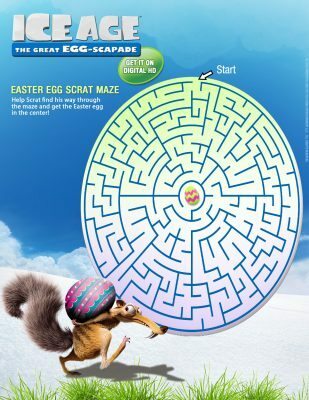 Ice Age: The Great Egg-Scapade Easter Egg Scrat Maze: Help Scrat find his way through the maze and get the Easter egg in the center!